Special cancellation policy set over a group of 9 persons. Please be noted that you will NOT be able to cancel your reservation after booking has finally confirmed. After the final confirmation, you will not be able to change or cancel the booking. So, please make sure to fix your schedule first. We are proud to be at the beautiful riverside with traditional neighborhood of historic temples, and the closest backpacker hostel to the center of the city where you can easily access to any major spot! We are the first Japanese style traveler's hostel in Nagasaki, located just 5mins from Nagasaki station. 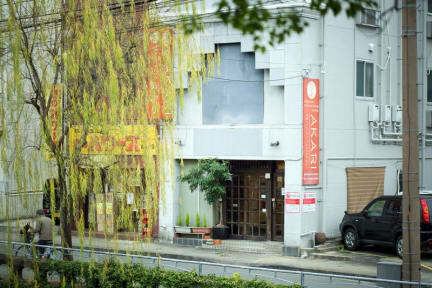 AKARI is located just 4mins tram ride from JR Nagasaki station. (tram for only 120yen!) And it is only 2mins walk from the tram station. There are many shops and restaurants near the hostel, too. 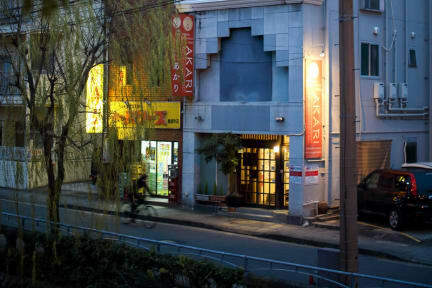 AKARI is a cozy, friendly, family owned traveler's hostel. We are looking forward to meeting you at the west-end prefecture of Japan island! Payment by Japanese CASH ONLY upon arrival. Thank you! >From JR Nagasaki station, or Highway bus terminal, take a tram from 'Nagasaki eki mae'station just in front. This is a cozy hostel in a beautiful city. The staff is friendly and helpful. I would recommend it. The only problem is that some hosts don't put the linen on the bed and sleep directly on the mattress. Maybe the hostel should do something for this problem.